Steve/N0TU, Guy/N7UN, and Dan/K0UIF, all part of the Old Goats QRPexpedition Team, are planning a summit activation of one of the 54 Colorado "14ers", mountains over 14,000' ASL. This effort will be during the Colorado 14ers Special Event where radio amateurs activate a peak to communicate with other amateurs. Primary activity will take place between 1500 and 1800 UTC on HF/VHF/UHF frequencies. 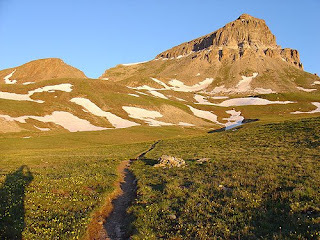 See http://www.14er.org and http://n0b-14er.blogspot.com/ for more information. The Old Goats team effort will primarily be QRP HF on 40/30/20m but will have 144/440 SSB capability also.